SHOES are not left behind in this hectic period of change. 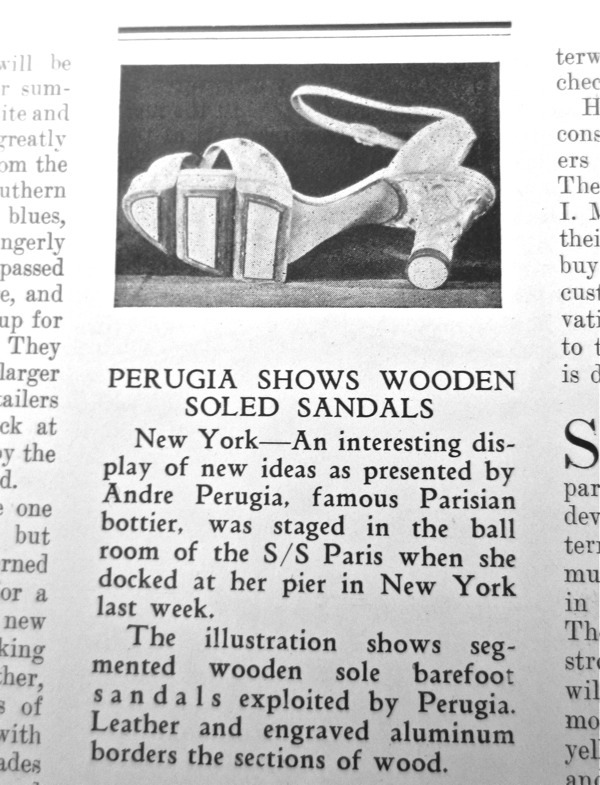 Monsieur Perugia who is the leader of shoe designers, has created something very ingenious when he gives as the wooden sole. 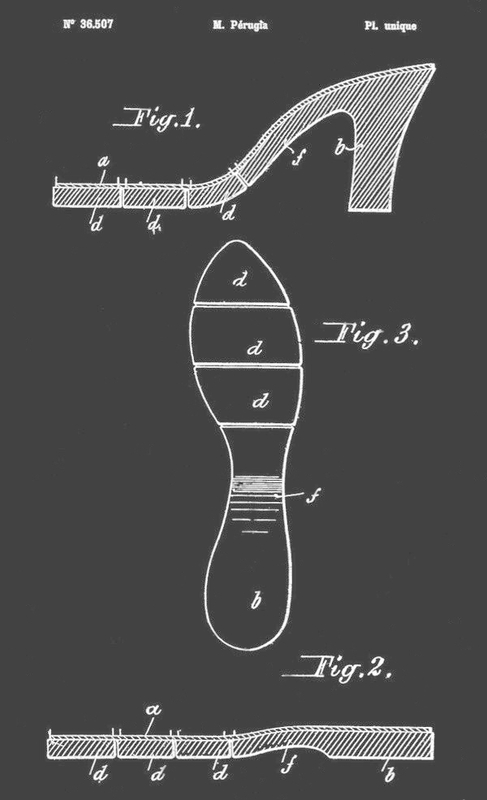 Last season he showed the utility of wooden soles for golf or walking wear as they are rainproof as well as being much lighter than crepe rubber. 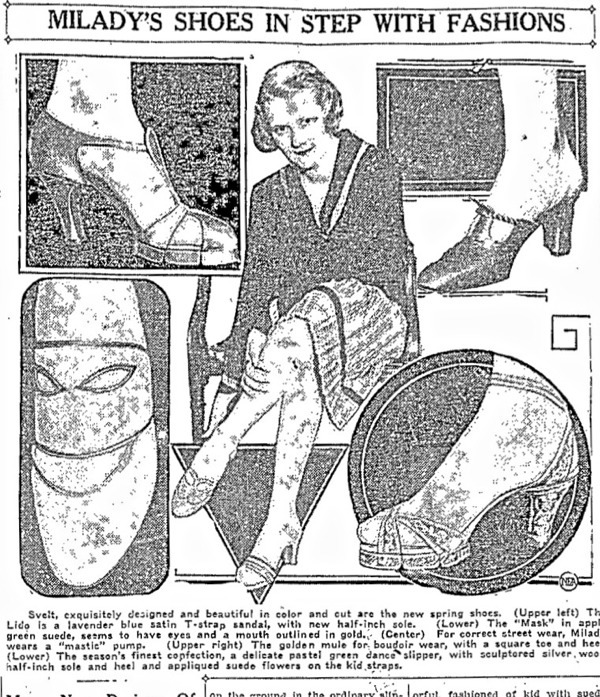 Now we find the dressy type of shoe with half-inch soles of wood intersected by three grooves of aluminum running crosswise, thus giving even greater flexibility for walking or dancing. A typical Perugia model showing this idea is a red suede sandal made on the lines of a Greek sandal and with a scroll design of gold kid as decoration. 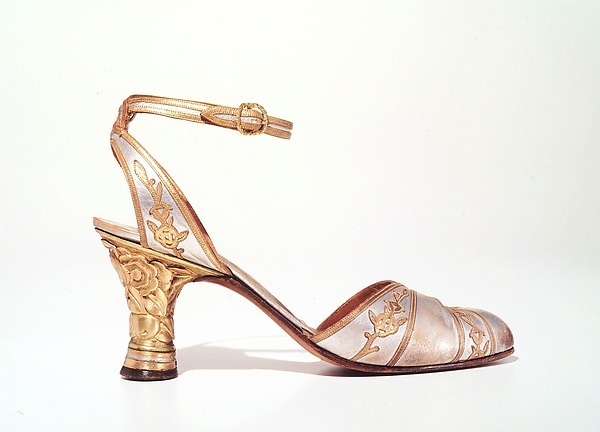 The heel is of gold in a raised floral pattern and the same colouring is carried out round the edge of the sole, thus disguising its thickness. 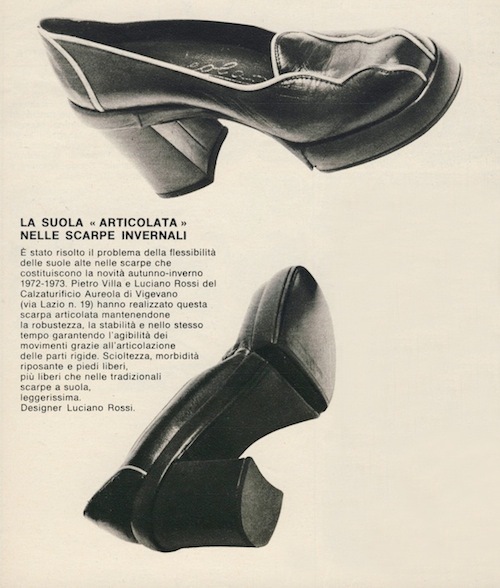 The very same sandal - but without the articulated sole - was also made in gold and silver metallic kidskin with the signature floral decoration (here below), a Perugia mark of distinction in those years. 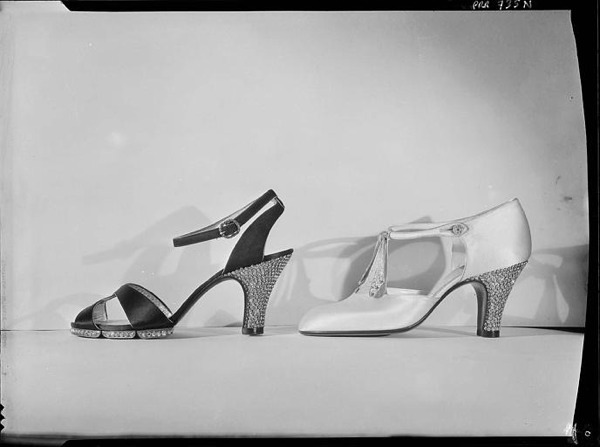 The Metropolitan Museum of Art - where the model is kept - point out that "No detail escaped the designer’s attention, as seen here in the cast heel and wreath-shaped buckle. 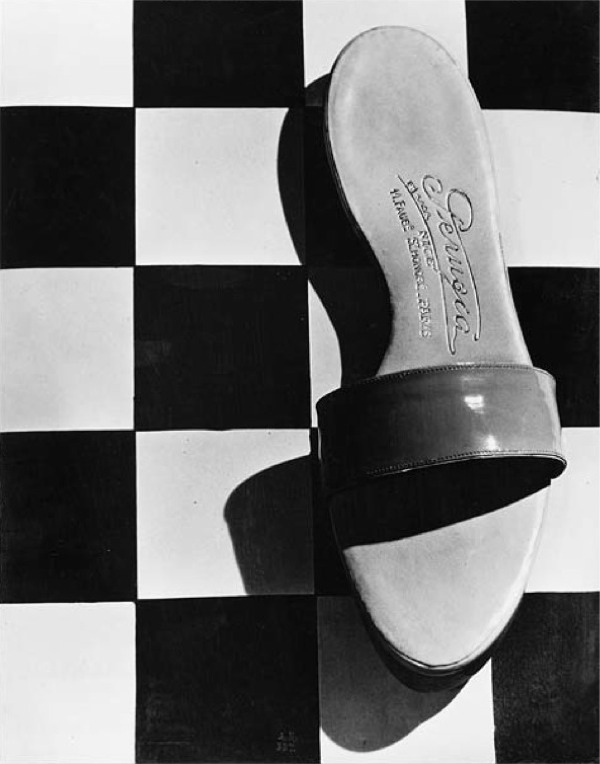 It was not usual for evening shoes to have open backs until the mid 1930s, so this daringly bare design is extremely advanced, even shocking, for the period." 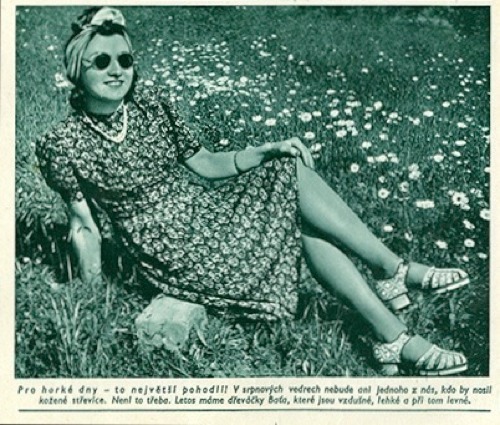 Another version of the evening sandal was decorated with rhinestones on heel - a different heel - and sole. 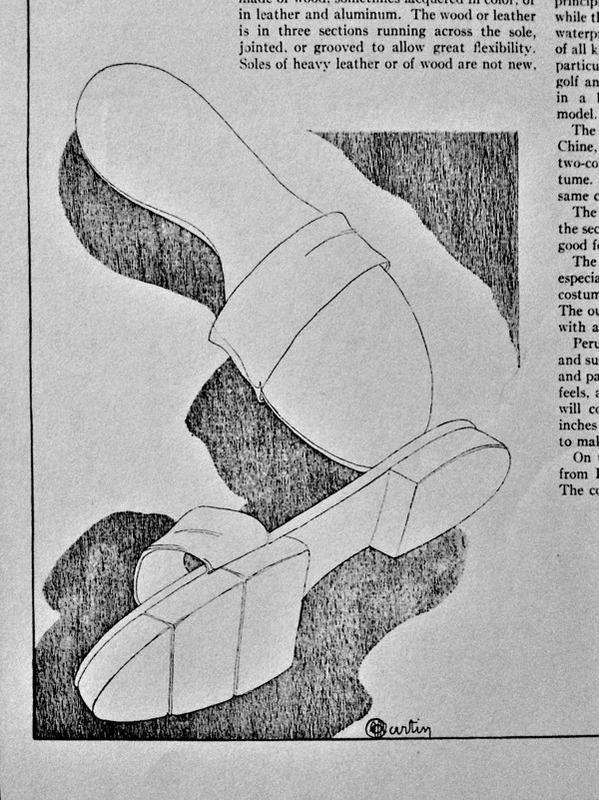 The T-strap model was called "Lido" (see last newspaper clipping). Soles of heavy leather or of wood are not new, but heretofore, practical leather ones have been too heavy in weight for a delicate foot, while wooden ones have been too stiff. The grooved principle allows perfect freedom to the foot, while the materials of these soles are waterproof. 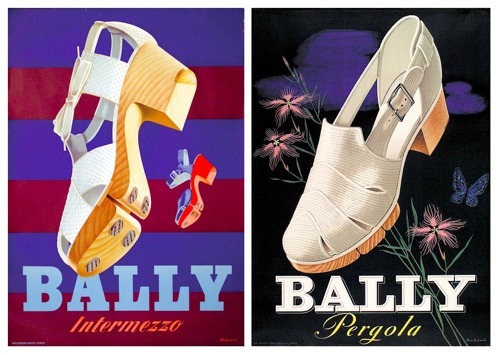 This system Perugia has adapted to shoes of all kinds, even dancing sandals, but it seems particularly appropriate to beach sandals, and golf and country shoes. Talking to a very well-known surgeon at the polo-party yesterday, we were joined by Perugia, the celebrated "bottier" and the smartest shoe-designer in the world. My surgeon friend complimented Perugia on his so successful experiment which he launched last season, the shoe which has the thick wooden sole and aluminum wedges dividing the sole and giving much suppleness. 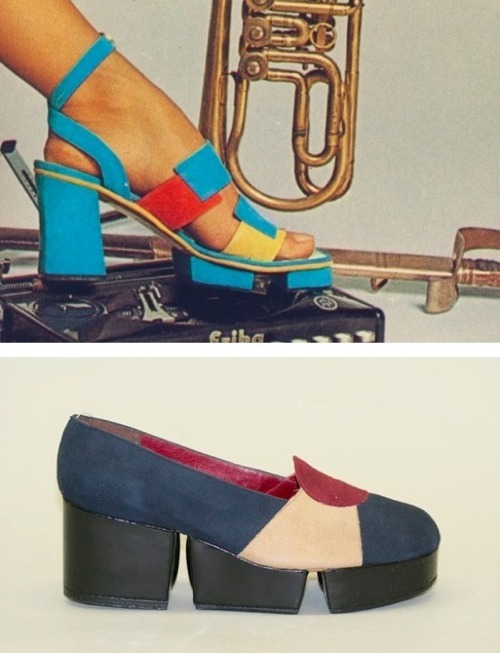 He also designed the high-heeled sandal which we are all wearing for parties, and which consists solely of bands of coloured silk with high spike heel. And how dainty and graceful the foot does look! Articulated sole sandal: Season's finest with sculptored heel, half-inch (articulated) sole and appliqued suede flowers on the kid straps. Model MASK: seems to have eyes and a mouth outlined in gold. The greatest innovation is a brand new sole that stands the foot a half inch off the floor. It sounds like a beach clog. It looks elegant. A first glance may make one stare. But after seeing women dance in evening slippers with this sole and then change to ordinary soles, you have the instinctive feeling that their feet are practically on the ground in the ordinary slipper. The half-inch sole, incidentally, is highly decorative with either hand carved flowers or jewels set in it.